Officiating the religious service is perhaps the most important duty for a pastor. The Sunday service has a great impact on the parishioners, as people participate in the religious service to achieve spiritual renewal, to find peace of mind, to listen to the sermon and draw the necessary learning, to meditate and feel the spiritual ascension. The pastor knows that a sermon is not just about the content of the preaching itself or the intonation with which it is uttered, but also about the atmosphere created during the preach through the church choir, music and lighting. The growth and expansion of a church means increasing the number of parishioners. The way in which the service unfolds has a great role in achieving this goal. The pastor is concerned about attracting parishioners of all ages and social categories and for this he must celebrate the religious service in a more attractive manner, which will include: music, accompaniment for the choir, displaying text, Bible verses and parables, image sliding and light games. For all the above to work as well as possible, specialized software for churches have been developed. Worship software can be acquired separately or within a whole church software package. It is important for a pastor to know exactly how he want the sermon to take place in order to acquire the most appropriate program, one that would contain all the features he needs (music, lyrics, pictures, videos, power-point presentation, lights, etc). The person in charge of buying the software should also be informed about the technical equipment necessary for the software to be operational. The program might require the use of electronic equipment, computers, amplifiers, projectors, speakers, screens, etc. 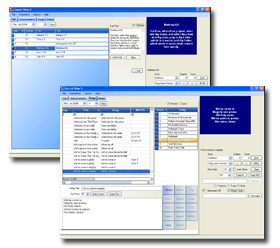 When purchasing a software, before buying any computer program, it is important to know what additional material or technology you need for the program to work. You must also take into consideration the aspect regarding the training of the individuals who will use the necessary technical equipment. Information on worship software for supporting the religious service can be found on the internet or in specialized catalogues. When communicating the message of a sermon, a pastor should know that his message would have a greater impact on the parishioners if it is supported by visual audio elements. There are suite of special worship software programs that do just that, some of the most important being presents in the following paragraphs. Worship Films.com is a worship software vendor with an extremely complex and evolved offer, in accordance to the demanding of the new millennium. They have a wide range of products, from simple applications like backgrounds, long plays, countdowns or sermon illustrators to full packages that combine many programs. The usage of worship backgrounds takes your Sunday service to the next level by combining the power of motion images with projected words or Bible verses. Some of the most popular programs of this type are Easy Worship, MediaShout and Pro Presenter, which we already discussed in a previous article. Sermon Illustrators display interviews, documentaries and music videos that will engage the involvement of your parishioners to the service. You’ll find a lot of quality programs at http://www.worshipfilms.com/collections.php?cat_id=6. They also provide beautiful worship stills and pictures of mountain, coastlines, wildlife and even carton drawings that will bring the Bible stories to life – recommended for your ministry’s children. See them all at http://www.worshipfilms.com/collections.php?cat_id=9. Another program that helps you with the Sunday service is WorshipAssistant. This worship planning and presentation software is mainly recommended for small churches. The program consists of four different managers, two for managing and organizing the service, or assigning duties to the church staff, and another two for song management. Worship Songs lets users keep a printable list of song lyrics, keys, songs, guitar chords - an entire worship songbook. With the Worship Sets manager, users can organize and save the order of songs for each service, by providing a list of songs from the Worship Songs manager. You will also need a video projector to display the song lyrics. You can easily navigate from song to song and from screen to screen using the mouse or the keyboard. The price of this software is $69, but you can also order a 30-day free trial from http://download.cnet.com/Worship-Assistant/3000-2135_4-10030025.html. A much more complex worship software especially designed for churches is Worship Center Pro. The program offers multiple possibilities to display engaging slides with Bible verses, prayers or other text you might want in your service and create professional special effects and transitions between the slides. It’s easy to create a slide with Bible verses as the program has a built-in database with the entire KJV version of the Bible from which you can simply drag-and-drop the desired section. To make the presentation more attractive you have a wide range of background types from which to choose, from Flash, QuickTime, RealVideo, Windows Media, AVI, MPEG or ASF video files which you simply drag-and-drop to play. The database also has and over 4,000 hymns and contemporary praise songs to use in your sermons. Although the software is very easy to use, it is also very powerful and gives users a free-hand in creating their presentations. You can control the entire look and feel of your presentation with the software’s customizable Visual Styles, each having its own layout, font, alignments, background and effects. Special effects are known to put the spice in any presentation, so use the blur, blend, fade or other customized transitions and effects for a truly spectacular sermon. The Multiple Service Scheduler lets you load and save a particular set to use then or in a next service. Worship Center Pro is also compatible with Microsoft Powerpoint so you won’t encounter any problem when you want to view a Powerpoint presentation while a current show is being played. You can purchase the software here. https://www.regnow.com/softsell/nph-softsell.cgi?item=8972-1&affiliate=23938&ss_coupon=SAVE-7KOL. Another complete visual solution provider on the church worship and presentation market is ChurchView. If offers full media support to show song lyrics or texts during the service. It is the only software of this type that can handle four different video monitors and allows you to display verses from two Bibles simultaneously, in English and Spanish for example. The programs also allows you to run announcements on the Foyer monitors to keep your parishioners informed of the various events taking place in the congregation while still recording the audio of your sermon. 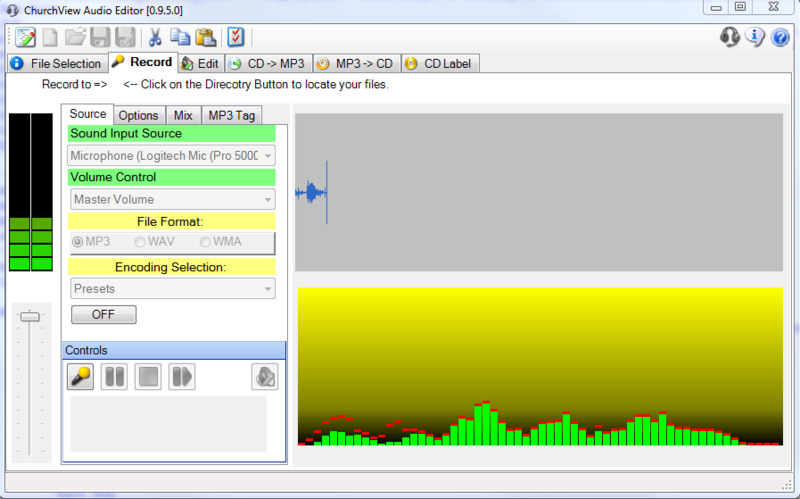 An Audio Recorder that lets you break a larger audio file into smaller pieces and then record them onto a CD is also part of the ChurchView software. If the software sounds appealing, you can download a free demo (or directly buy it) at http://www.churchview.net/ChurchView5-Prices.aspx.